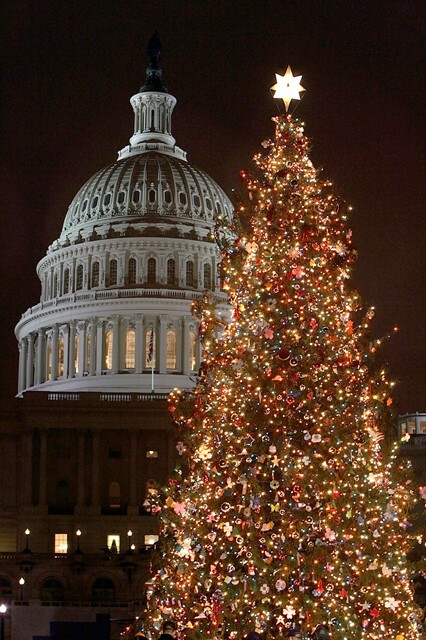 The Capitol Christmas tree in Washington, D.C., is decorated with 3,000 ornaments that are the handiwork of U.S. Schoolchildren. Encircling evergreens in the ‘Pathway of Peace’ represent the 50 U.S. States. 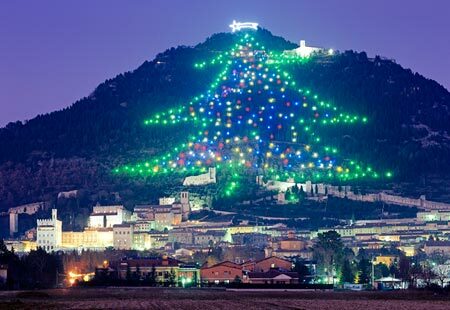 The world’s largest Christmas tree display rises up the slopes of Monte Ingino outside of Gubbio, in Italy ‘s Umbria region. Composed of about 500 lights connected by 40,000 feet of wire, the ‘tree’ is a modern marvel for an ancient city. 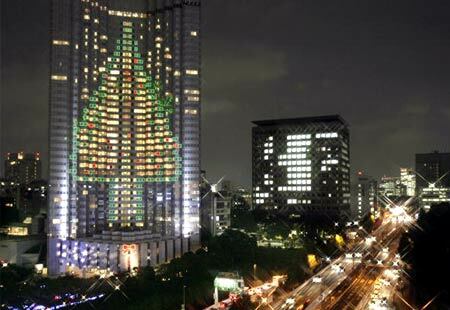 A Christmas tree befitting Tokyo ‘s nighttime neon display is projected onto the exterior of the Grand Prince Hotel Akasaka. Venice ‘s Murano Island renowned throughout the world for its quality glasswork is home to the tallest glass tree in the world. 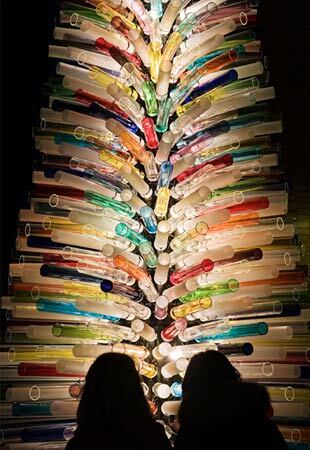 Sculpted by master glass blower Simone Cenedese, the artistic Christmas tree is a modern reflection of the holiday season. 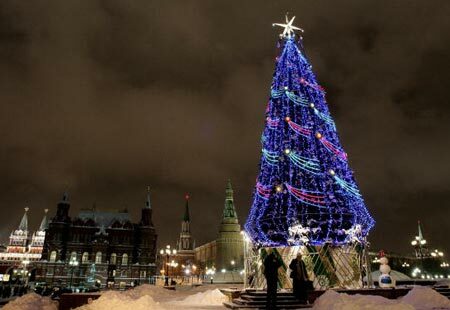 Moscow celebrates Christmas according to the Russian Orthodox calendar on Jan. 7. For weeks beforehand, the city is alive with festivities in anticipation of Father Frost’s arrival on his magical troika with the Snow Maiden. He and his helper deliver gifts under the New Year tree, or yolka, which is traditionally a fir. 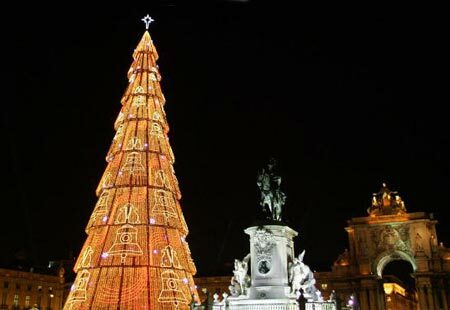 The largest Christmas tree in Europe (more than 230 feet tall) can be found in the Praça do Comércio in Lisbon, Portugal. Thousands of lights adorn the tree, adding to the special enchantment of the city during the holiday season. Ooh la la Galeries Lafayette! 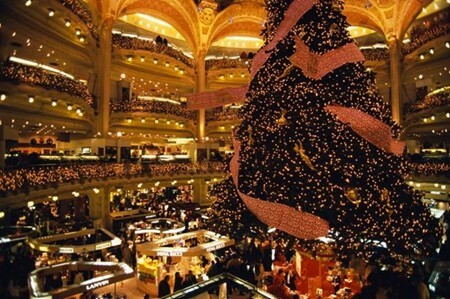 In Paris , even the Christmas trees are chic. With its monumental, baroque dome, plus 10 stories of lights and high fashion, it’s no surprise this show-stopping department store draws more visitors than the Louvre and the Eiffel Tower. 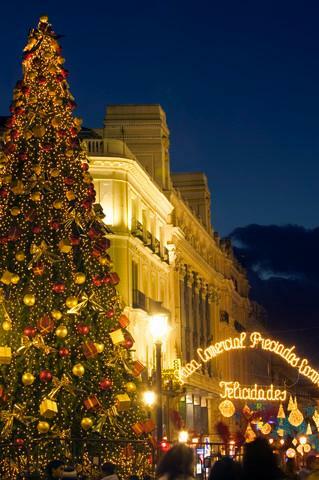 The Christmas tree that greets revelers at the Puerta del Sol is dressed for a party. Madrid ‘s two-week celebration makes millionaires along with merrymakers. On Dec. 22, a lucky citizen will win El Gordo (the fat one), the world’s biggest lottery. 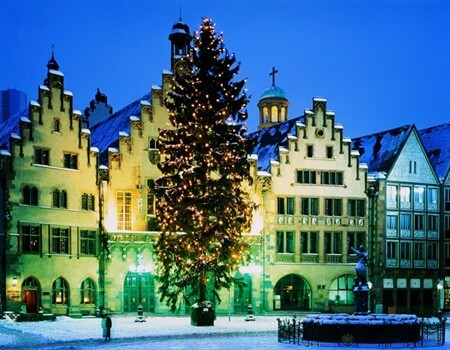 Drink a glass of gluhwein from the holiday market at the Romer Frankfurt’s city hall since 1405 and enjoy a taste of Christmas past. Wow, gorgeous collection of Christmas trees! Thanks for sharing.